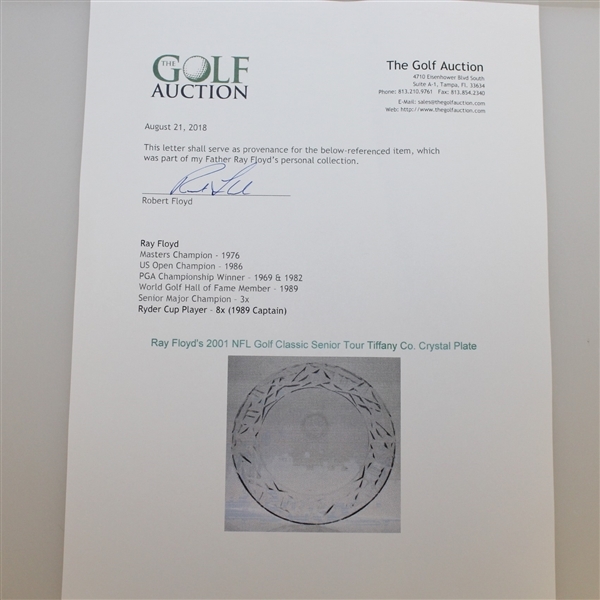 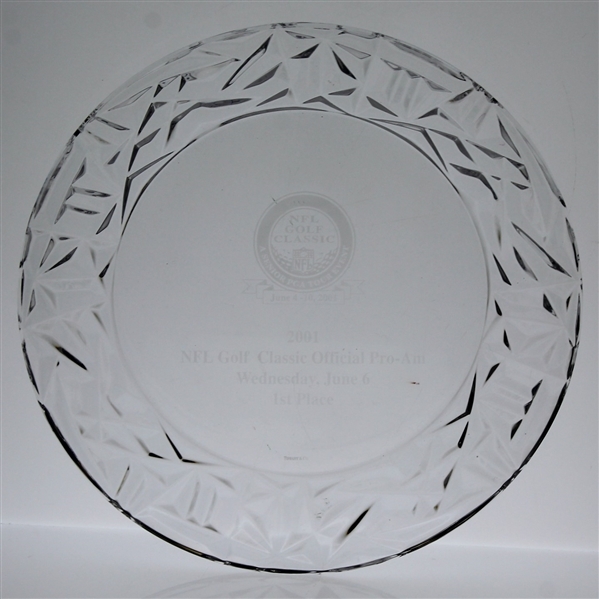 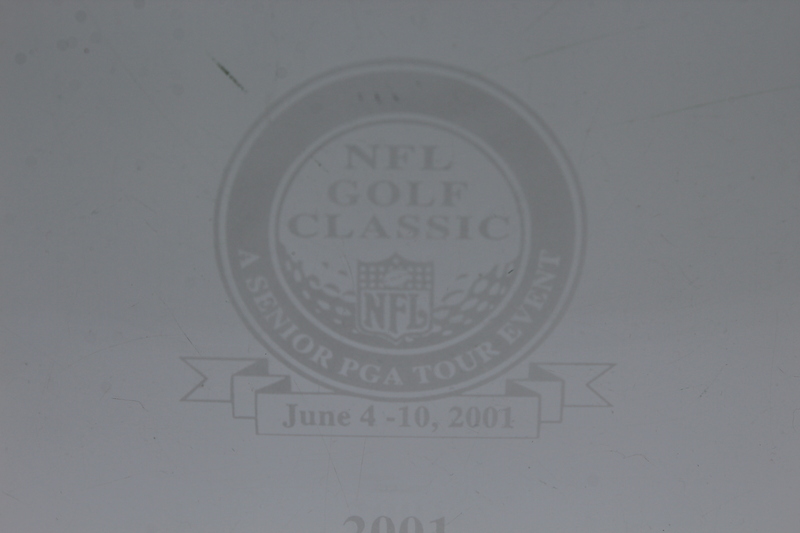 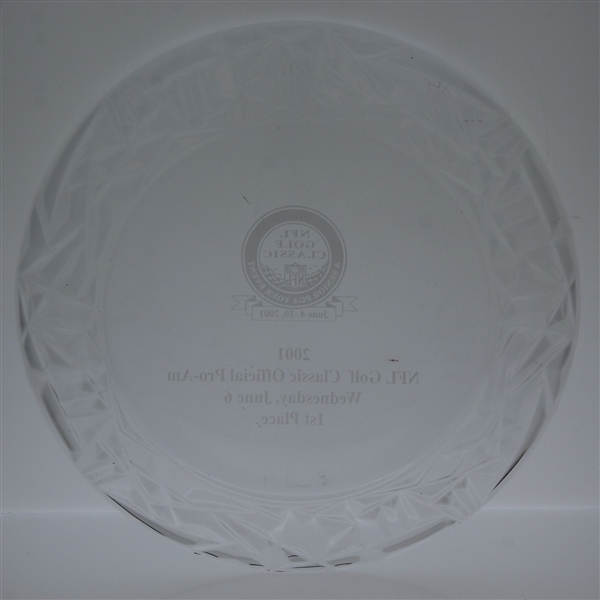 Ray Floyd's commemorative 2001 NFL Golf Classic Tiffany & Co. plate is offered here for bidders. 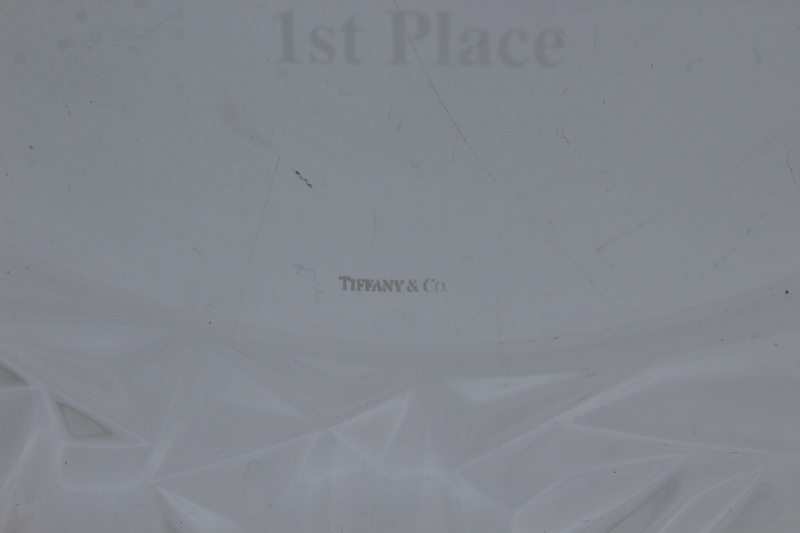 It comes in great condition and is highly presentable. It measures 12 1/8" in diameter. 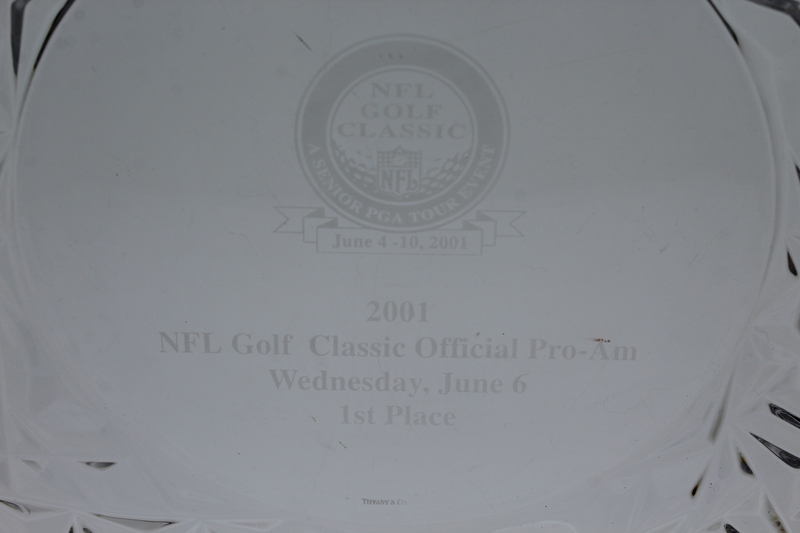 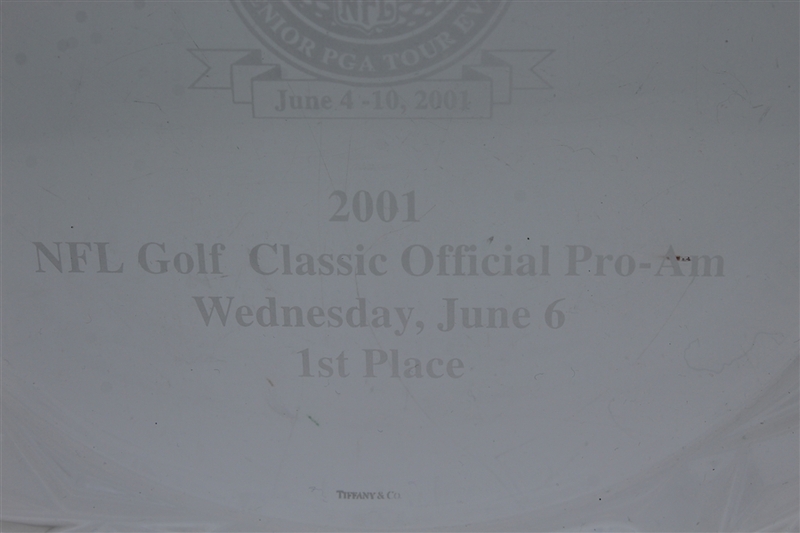 The NFL Golf Classic was a stop on the Champions Tour from 1993 until 2002. John Schroeder won the tournament in 2001.